If you’re reading this article, you’re probably searching for a way to change website content based on visitor location. Basically, you want the content on your website to change dynamically in order to cater to the different users who access your site. Now, let’s assume that you’re a electronics retailer who generates a good bulk of their revenue through their eCommerce store. Assuming you’re serving clients from across the world (not just in the US! ), what do you think would be the most effective strategy? B) Having a dynamic website that displays different prices, currencies, and shipping policies based on where your users are located? If you answered B, then congrats - you’re on the right track! Why should I change website content based on visitor location? Many eCommerce store owners will make the mistake of trying to build a single site that addresses the concerns of all their different target segments. Unfortunately, these folks often end up with a website that has too much going on at once. We’re talking multiple messages, offers and Calls-To-Actions (CTA), which leads to a cognitive overload on your visitor’s part. What does your visitor end up doing? They close the browser, and churn forever. The bottom line? Your website has to contain just the right amount of information - enough so that your visitor can confidently make a purchase, but not so much to the point where it gets overwhelming or confusing. That’s why it’s important to change your website content (and only display whatever’s relevant) to cater to each individual user! On top of that, you’ll also want to display prices in your visitor’s home currency, and offer their preferred payment options during checkout. This way, you minimize the friction associated with buying a product, and increase the chances of your visitor going ahead and completing their purchase. Most eCommerce stores run regular promotions and offers which coincide with holidays and festivals. But here’s the thing: if you’re serving a customer who’s in New Zealand or Australia, then running a Fourth Of July sale doesn’t really make much sense. In order to localize your offers and promotions, you’ll have to customize content based on visitor geolocation. 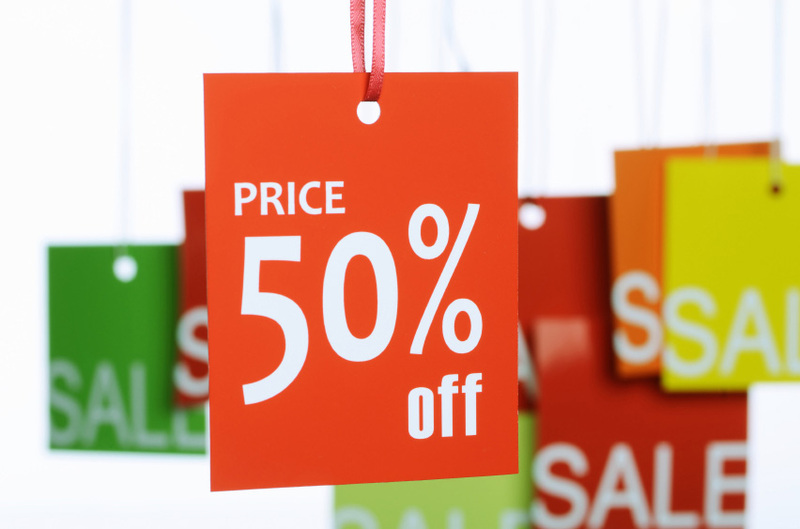 Some eCommerce store owners might argue that a sale is a sale, and at the end of the day, no one’s going to say no to a discount. This might be true, but you should also consider the other implications that your promotional strategy brings about. Say you’re an Australian who’s looking at this store which obviously caters to a US audience, for example. If the prices are really that competitive, then sure - you might go ahead and purchase a hard drive or two from them. But when it comes to buying laptops for your entire team, you’d probably give this site a miss, and look for another retailer instead. After all, you’re not sure whether this company would be able to provide you with the necessary customer support, given that they’re based somewhere else. ...a bunch of tutorials which tell you how to write code to search for your visitor’s IP address and configure your content to show based on which area your visitor is in. If this looks crazy intimidating, don’t worry. There’s an easier way to go about changing your website content… and that’s using Geo Targetly’s “Geo Content” tool. In a nutshell, Geo Targetly allows business owners to create dynamic content that change depending on the geolocation of their visitor. With Geo Targetly, you can create any type of HTML content including images, rich text, or tables, and tag them to display only when a visitor is from a chosen country, state or city. Of course, you can also design the content that’s to be displayed when the visitor is not from the chosen location. Want your “free shipping” banner to be shown to all visitors, except those from Asia? Consider it a done deal! Customizing content based on visitor geolocation with Geotargetly is easy. Here’s a step-by-step guide that will walk you through the process. First, set up your website, and indicate whether you want the content you’re adding to be seen throughout the entire website, or only with the specific URL that you’ve keyed in. Next, add your content in your Geo Targetly dashboard using the in-built HTML editor, or add it directly to your website using the smart HTML wrappers. Once you’re done tweaking your content, click on the “Add location” button to create a location rule. Select the type of rule, whether you want to include or exclude the location, and finally, search and input the required location type. If needed, click on the same “Add Location” button again to add another location rule. If you want to add another content rule, you can do that as well. Then select your integration type, and follow the instructions to install the code onto your website. That’s all there is to it! You’ve now successfully set up your dynamic content, and your website will now display content based on visitor IP address. All there’s left to do is sit back and wait for your conversion rates to soar through the roof. Geo Targetly is a simple, plug-and-play tool that lets you redirect visitors and change website content based on visitor location. To start serving your visitors dynamic content based on their IP address, claim your free trial now!